Best answer: No, you cannot buy The Division 2 on Steam. You'll need to purchase the game on Uplay or the Epic Store. Ubisoft entered into an agreement with Epic, so The Division 2 will only be available on Uplay and the Epic Store. There are no plans for it to come to Steam, although Ubisoft did manage to avoid upsetting pre-order holders by not listing the game on Valve's storefront at all. Uplay and the Epic Store are similar storefronts to Steam, offering similar features. There isn't a specific advantage to relying solely on Steam for PC gaming either, besides the convenience of having all your games in the same place and getting Steam card packs and rewards. 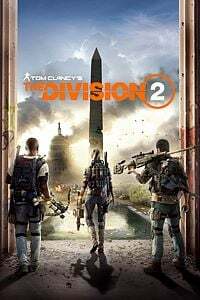 Generally, it shouldn't matter where you purchase The Division 2, you'll still be able to enjoy the same game. Plus, as more games start to move to the Epic Store as an alternative to Steam, you're going to run into this problem a lot more often. Will The Division 2 ever come to Steam? How long this exclusive deal between the two companies will last is not known. Ubisoft hasn't teased or released details about this exclusive deal between itself and Epic, so those who do not wish to use Uplay or the Epic Store will have to hold out for now. It's likely the game will eventually come to Steam if we look at other exclusive deals that had fixed durations like Metro Exodus. We'll be sure to update this guide and cover the announcement should Ubisoft plan for a Steam release. It's up to you and other Agents to band together and save Washington D.C. Unfortunately for Steam fans, you'll have to use Uplay or the Epic Store for now.